Home > Inventory > Is there an easy way to manage item prices and stock? Q.Is there an easy way to manage item prices and stock? Navigate to Inventory → Item stock and prices. This page allows you to edit item stock and price for multiple items at once. You can use the Search function to narrow down the items displayed to edit them more easily. Please be aware that prerelease and inactive items, as well as items in inactive categories, will not appear on this page. Items displayed with a grey background are outside of their specified display period. Edit stock and quantity as you wish, and then click (Save). 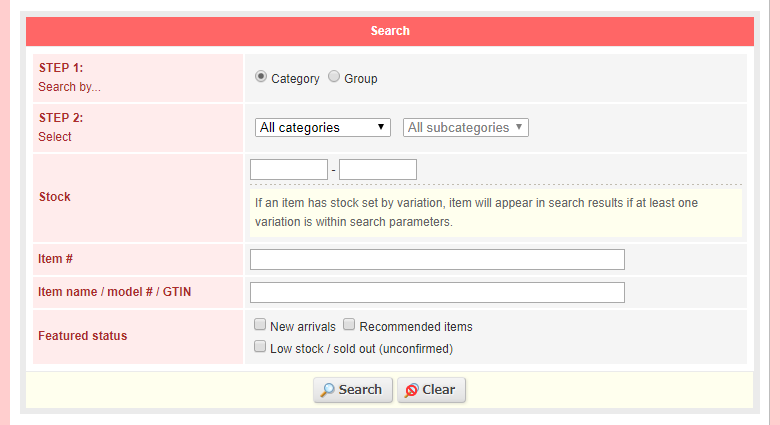 Click the (Variation stock and prices) button to configure stock and prices for individual item variations. Click (Enter) on this page to return to the main Item stock and prices page. 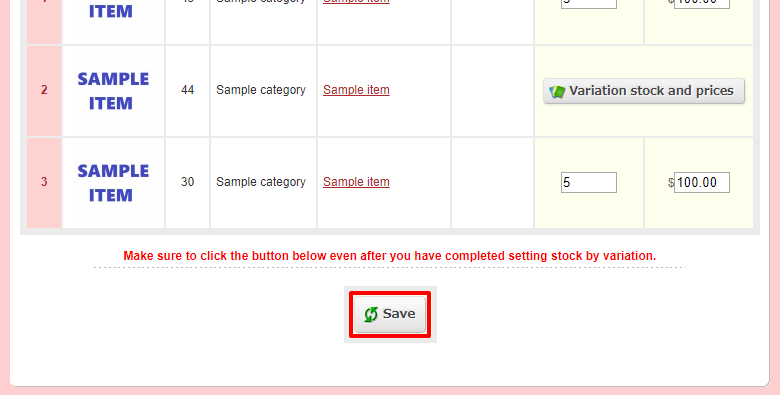 Click (Save) to save variation stock and prices. 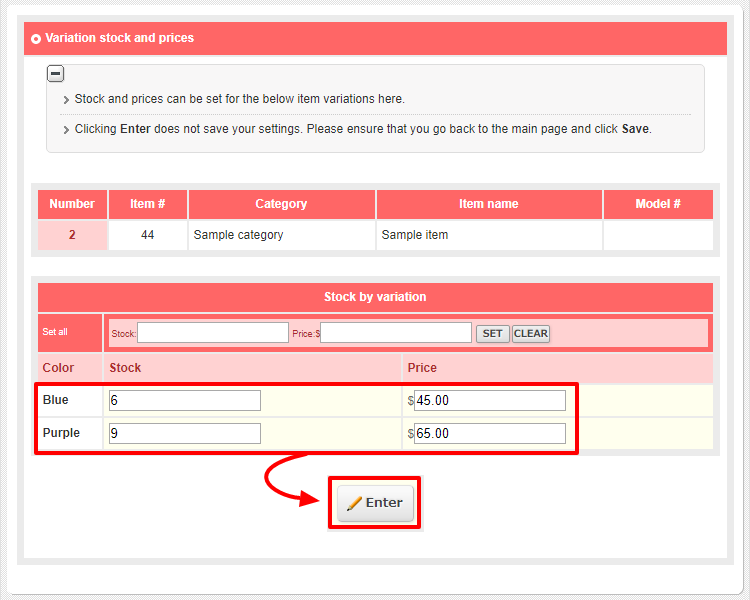 Clicking (Enter) on the popup page without clicking (Save) will not save changes to variation stock or prices.